In the impressive directorial debut from actor Paul Dano (Love & Mercy), a family comes apart one loosely stitched seam at a time. An affable man (Jake Gyllenhaal) down on his luck, runs off to fight the wildfires raging in the mountains. His wife (Carey Mulligan) strikes out blindly in search of security and finds herself running amok. It is left to their young adolescent son to hold the center. “It’s a coming-of-age story for all three,” says Dano about his passion project, “it is a film guided by love.” The Opening Night of Cannes’ Critics’ Week also garnered accolades at the Sundance, Toronto and New York Film Festivals. 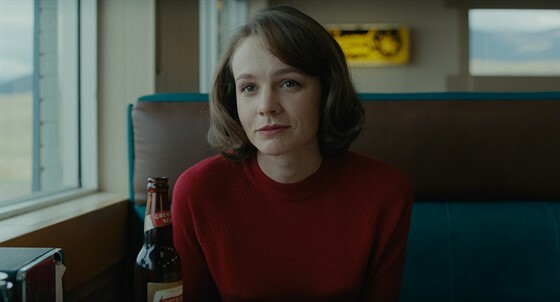 Wildlife looks and feels like an Edward Hopper vision of 60s Americana on film. For the benefit of our Spanish-speaking patrons, Wildlife will screen in its original English-language with Spanish subtitles on Sunday, 11/11 at 1:00 pm and Tuesday, 11/13 at 6:30 pm. Para beneficio de nuestros clientes de habla hispana, Wildlife será presentada en inglés con subtítulos en español el domingo, 11/11 a la 1:00 pm y el martes, 11/13 a las 6:30 pm.